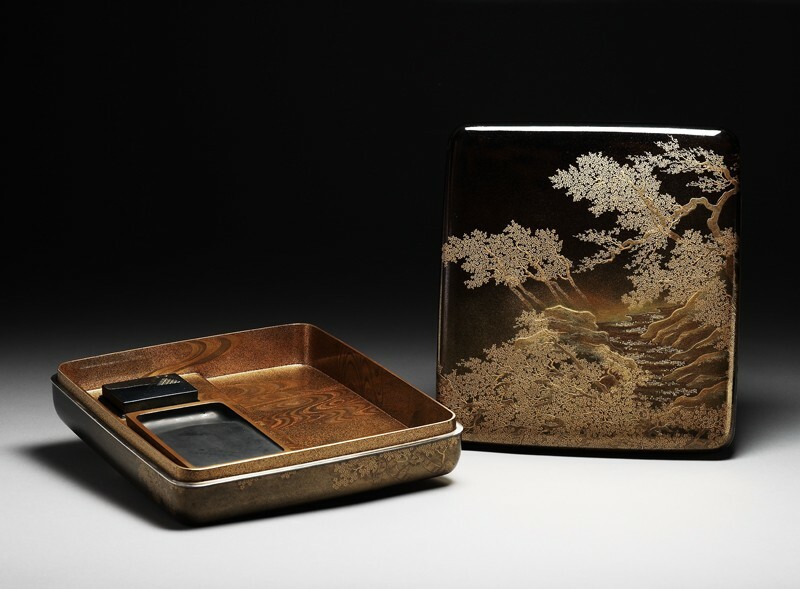 This lacquer writing box (suzuribako) is part of a writing set made by the Kyoto artist Tomita Kōshichi towards the end of the Meiji period (1868-1912). The boxes use a wide variety of lacquer techniques to achieve a range of textures. They are also stylistically very interesting as the landscape designs, with their spatial complexity and misty atmosphere, are highly reminiscent of the Nihonga style of painting that developed in the late 19th century, when Japan was emerging from over two centuries of national isolation.